I hesitated to read this book because of all the hype surrounding it. It's a pretty good read but "nothing to write home about." 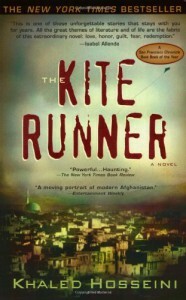 My biggest problem with Kite Runner and his second novel, A Thousand Splendid Suns, is that it's too melodramatic and pedestrian.